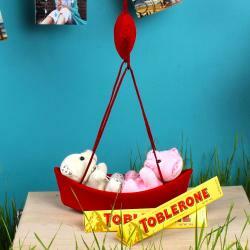 Product Consists : Couple Teddies Sitting Red Boat (Approx Size : 6 Inch) along witth Cute Teddy holding Basket filled with Heart shape chocolate ( Weight : 250 Gms). Every one needs a hug it does so many things it brings joy and comfort. 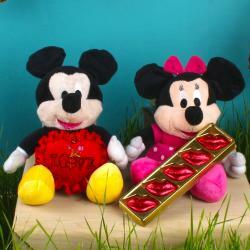 This is an incredible gift items like Couple Teddies Love Boat with Heart Shape Chocolates Basket for your loved ones. Teddy can be used as a decorative piece like for your living room, hall or bedroom gives attractive look of your place. Apart from decorative purpose, it is also known for a brilliant choice gift that can be presented to your near ones on their auspicious occasions. 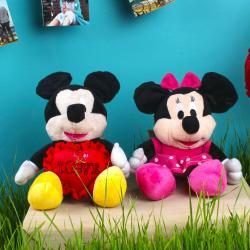 This is one of the best gift items that can make them feel thrilled and special. By presenting this you will get a cute smile, twinkle in your lover’s eye and it spreads the charm of love and romance in the vicinity in and around you. So with one mouse click you can order. Add a special touch to the lively and youthful personality of your dear ones through this gift set from Giftacrossindia. It is very special to know the love and care hidden behind an introvert person so make the same feelings of happiness for your partner this is a simple reason to make believe to your partner how much special he or she is for you. This gift combo should be the best bet for Valentine's Day, Birthday, Anniversary and Many more. Giftacrosssindia bring to you a mind-blowing collection of Valentine's Gifts that give you so many gift options. Check out our Valentine Gift shop that will help you to choose the best gift for your loved ones. Browse your favorite products, it is very conveniently available for online shopping from anywhere in India with Free Shipping. 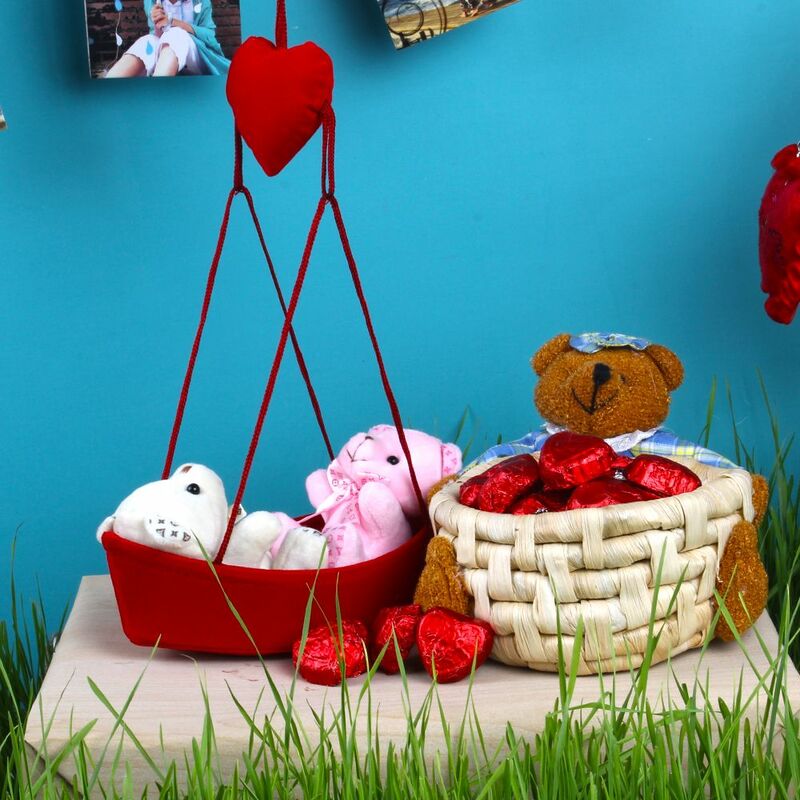 Product Includes : Couple Teddies Sitting Red Boat (Approx Size : 6 Inch) along witth Cute Teddy holding Basket filled with Heart shape chocolate ( Weight : 250 Gms).